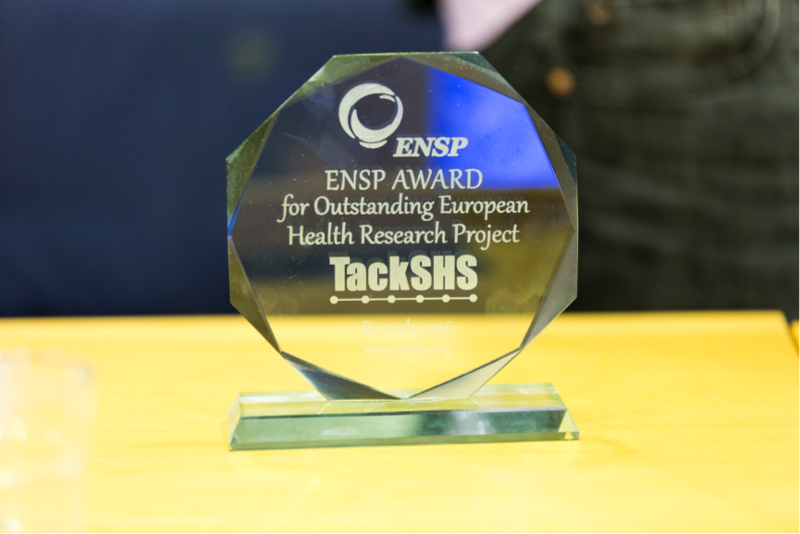 At the European Network for Smoking and Tobacco Prevention Conference held from 5th to 7th April 2016 in Brussels, the Outstanding European Health Research Award was presented to TackSHS. This award is given to projects, which have shown an extraordinary degree of dedication to promoting tobacco control activities on the basis of sound scientific evidence. TackSHS was awarded the prize because of its efforts in providing health care policy makers with bespoke information, aiming to improve understanding of second-hand tobacco smoke and e-cigarette emissions; and find ways of tackling the health burden caused by exposure to these aerosols. TackSHS has the potential to generate significant step-change beyond the current state-of-the-art in understanding second-hand tobacco smoke and electronic cigarette aerosols across the EU.